Fishing in Western Australia is popular, and for good reason. Western Australia has some of the best fishing destinations in the world, and there are many unique fish to catch as well. If you aren’t into fishing, then at least jumping into the water to take a look at the underwater life is well worth the time. I have recently gotten into Spear fishing, which I find is highly enjoyable and even cheaper than fishing to do in the long run! I have been fortunate enough to grow up in Western Australia, and to have parents who also enjoyed fishing. Right from a young age I was able to fish off various beaches and jetties, as well as from our boat. I guess you could say that I inherited a love for fishing, and that is where this part of the blog comes in. I will use this to add places that I have been fishing, recommendations of what to use and when to go. I am not an expert in fishing; far from it. However, I do enjoy it and have caught a reasonable number of fish so far! WA Fishing can reward you with good sized Cray fish, Marron, Abalone, Yabbies and other freshwater fish as well as a huge range of the normal and more unique types of saltwater fish. It’s not too hard to get a good feed of fish in Western Australia, especially if you have a boat. 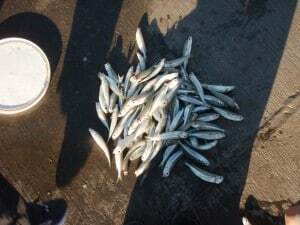 There are a number of locations off rocks and off the beach where you can get a good feed of herring and big sand whiting, and then the fish just get bigger from there! Mulloway, Snapper, Dhu Fish, Brim, Skippy, Tailor, Gropers and Mackerel are just a few of the fish that are regularly caught in Western Australia. There are actually quite a number of locations that you enjoy freshwater fishing. This has many advantages, mainly because it is quieter, calmer and less windy. You don’t have to worry about waves and tides either! There are a large variety of fish that can be caught in dams, lakes and rivers in Western Australia. The more commonly caught species include Perch and Trout. These can be found in rivers, dams and lakes. There is an introduced species of fish in many of the water systems in Western Australia known as the ‘Red Fin Perch’ which is a pest and cannot be released back into the wild. This applies regardless of how big they are. They are actually quite good eating as well, which makes for some great fishing whilst helping our local ecology out. 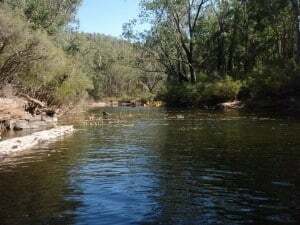 Licenses for fishing in freshwater cost $26 (or they are free if you are under 16) and you need a license to catch freshwater fish south of Greenough. The south west is where you usually catch majority of the freshwater fish (Harvey, Waroona, Dwellingup etc). I have found that most of the fishing gear on eBay is a lot cheaper than what you can buy anywhere else. Of course, be selective in what you buy, but even with postage you get things for very cheap! The Fishing Regulations in WA have changed a lot in the last few months. At present there is a ban on catching any demersal fish in between Kalbarri and Augusta (from Oct 15 – Dec 15). 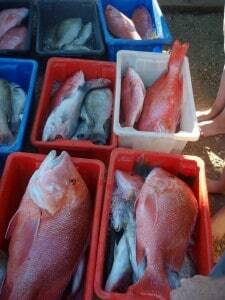 This includes any fish that are deemed ‘high risk’ such as snapper, coral trout, groper and parrot fish. You need a license to catch Cray fish and Abalone, and there are seasons that run at various times of the year. The fees go towards protecting endangered species, research and basically just keeping our marine life ecologically stable. In March, a boat fishing license will apply as well ($30). Just make sure you find up to date information before you go out anywhere, as it changes fairly regularly! 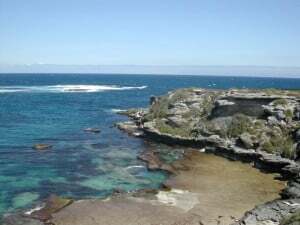 Marine Parks are located throughout Western Australia in a huge number of areas. There are a lot of different types of areas which permit different things. For example, some areas permit fishing off the beach and Cray fishing, whilst others may not permit spear fishing and some may not permit removal of anything from the area. These areas are often the best for snorkelling in, but there are even area’s you are not allowed to take a boat or dive in. Cray fish are abundant in Western Australia, if you know where to go. They are great tasting and again, you need a license to catch them. The cost of the license is $38 and it applies for a single year. The Cray fishing season runs from November 15 through to June 30. The Abrolhos Island has a separate season, and above the North West cape you can take them all year round. Cray fish can be caught using nooses, pots or with your hands. 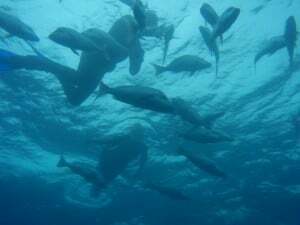 They are fun to catch snorkelling or scuba diving, and often more plenteous than using pots. The legal size for Cray fish has just been increased to 79mm. Abalone is a delicacy throughout the world and Western Australia is not an exception! In Perth, when the season hits, the beaches are covered by people wanting to get a feed. There are a few different types of Abalone in Western Australia, and they have different size limits. It is said that Abalone is the ‘steak of the sea’ but for the effort required to get them I prefer crayfish! In saying this, they are fun to get and taste quite nice. WA Fishing is great in many locations, but there are some amazing places that you can catch some huge fish. Usually the less people living in an area the more abundant a fish supply is. Perth and its surrounds get fished very regularly, and it can be difficult to get a feed of good fish in many of the previous popular places. We have found that heading to the more remote places often results in the best catches. For example, Wagoe near Kalbarri is only accessed by very few people each year, and as a result it has some great fishing. Having a boat makes it so much easier to find great spots. You can head out only a few kilometres from Perth beaches and catch some great fish. Cockburn Sound is a great place to fish, and can be accessed by even the smaller boats. The bottom line (pun unintended) is that there are many places which can provide exceptional fishing at times, and you just need to get out there and experience it. Whether that means driving a few hundred extra kilometres or not, it’s often worth it. Earlier this year we went to Coral Bay, and caught more fish than ever before. I was simply amazed at how many swam around, as you can see by the pictures. If you don’t have a 4×4, I would highly recommend considering one, as they open your options up for fishing so much. Not only can you tow a big boat with ease, but you are able to access some of the best fishing locations from the shore. There is nothing better than being able to drive onto a beach, park up and start fishing with all of your gear right next to you! Like the rest of Australia, WA has some great places to take the boats. Out from Perth we have Garden Island and Rottnest Island, which provide some great fishing destinations. 5 Fathom bank can be found a few kilometres past Garden Island, and the 3 mile reef runs north as well. I was astounded by the huge number and range of boats at Coral Bay. You can pick a reliable boat up for under $10,000 and they provide so much fun. The best fish that I have caught were on boats as well, because you can get to area’s that are not fished out! If you haven’t done much WA Fishing, then you should get out and take a look. There really are some incredible places to visit, and lots of fish to catch! I hope this section of the blog gives you some ideas. exemplary work. You have gained a new subscriber. I hope you can keep up the good work and I look forward to more of these excellent posts. Could you please tell me the legal fishing period (dates) for trout in the Donely River near Glenoran, Chaples Bridge area. Im 60 years old, has been a avid spearfisherman for many years and still do so every weekend weather permitting. 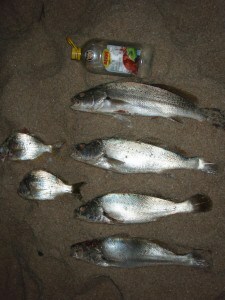 Im from South Africa and intends visiting WA during April-June 2012.on a spearfishing/crays etc trip. Ill be travelling alone and as cheaply as posssible (backpackers-lodges -tenting etc. This will be my 1st trip to Australia and will appreciate some guidance on how to accomplish this experience. ie best spear/crayfishing spots and accommodation available close to it. Im an ex Rhodesian military serviceman anenjoy being outdoors and on my own.Any advice will be appreciated. 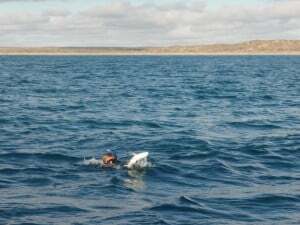 If you are just doing shore based spearfishing, I’d suggest you need to head outside of Perth. 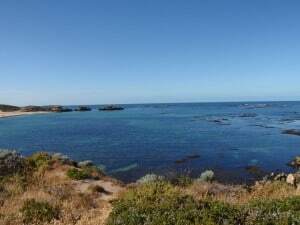 If you go north, places like Jurien Bay, Geraldton, Lucky Bay, Warroora station, Coral Bay and Exmouth are great. The abrolos islands also has a great reputation if you can get over there. If you want to go south Hamelin Bay, Augusta and Albany are good. There is plenty of great fishing in WA. Esperance is certainly worth the trip, but it isn’t very close to Perth! Are you fishing from a boat, or the shore? Steep Point is probably the most reputable place, but again it isn’t a short drive!